If you’re like most people, you have frustrations with your boss. If you’re lucky, they’re only occasional; if you’re not lucky, they might be daily. But whether it’s a boss who always cancels meetings with you or one who micromanages your every move, the secret to working together harmoniously – as well as keeping your own sanity – might just be to put more effort into managing up. At DailyWorth today, I talk about how you can manage up in a variety of situations with your boss — including managers who constantly change their minds, managers who are overly critical, and more. You can read it here. Getting answers to emails is a big one (and not just from your boss). I’ve found that a surprisingly number of people aren’t explicit about exactly what they want you to do when they send you an email. Do you need me to review and approve, do you need me to just be aware, do you need me to find that file? It seems so basic but I see many emails that are long and unclear on actions required. Sometimes in my email I actually write: action required and then make a list. Ditto – I also put it in the subject line with the due date. 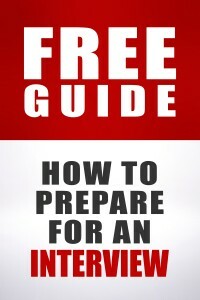 There are three types of emails in my book: FYI, Seeking Info/Input and Action Needed. I try to make sure that I always put those words in the subject and in the body of the email. I “brand” my emails this way. It seems to work pretty well with all depts I interact with except IT for some reason. But that is another topic for another day. I like this system. I may borrow it. I came here to add this. I struggle a lot with getting through all my emails – I get a TON every day and it’s a full time job just to triage it. Just tell me up front what you want from me. Is this an FYI, do you need a response, what? WHAT DO YOU WANT? That’s it – just ‘Question’. It drives me crazy – give me an idea of what you are looking for so that I have a better grasp on how urgent it is that I respond. Oops, I do this. Sorry. Reply with the subject “Answer” containing the message “42”. I always “demote” a message that is just an FYI to my boss, I asked him once if that worked well and apparently he thinks it is great. Low priority emails are awesome. I’d love if my people would use that feature. Except I don’t know anyone at my company who thinks there is such a thing as “low priority”. I’ve even seen people who mark every email as urgent. Every single one. And they never are. the action required list is such a good idea. Often my boss will e-mail me such open ended messages. It always leaves me e-mailing her back a lot or going to her with a lot of questions which makes me feel like I don’t know what I’m doing. With my previous boss, who was a high flyer and wrote emails in cryptic code, I would ensure that I cornered him for five minutes asking him, ‘What do you need to know, what do I need to know?’ This insured that I could do my job while not getting frustrated in turn, looking like a superstar because I got things done/right the first time. I know I gained more respect. My boss was always changing her mind. We would get a report done one way, then she would come back two or three times changing stuff. Drove me crazy to redo the same thing over and over again. When she left for greener pastures, I reported to her boss, Big Boss, until her replacement started. I discovered the reason for all the changes was her reaction to Big Boss. I quickly realized that no matter how well I did a project, Big Boss would always want to put his stamp on it. So I basically turned in good drafts with all the info and let him polish it up, because that was what he did. My boss had tried to give him a polished, finished projects and when he gave his input she would try to incorporate them and then add something “better” which he didn’t want. I think she desperately wanted to submit something to him the first time and have him go, “This is great! We will go with this!” It was never going to happen. The only time I have “managed” my manager was at a small cable company with a cash flow problem. I would cut the checks and my manager would sign some right away and others she would put in drawer and sign over the next several weeks or months. Some she wouldn’t release until the vendor called. Called me, that is. After a year I learned how long she would hold on to checks and how long it would be before certain vendors would call. So I would cut certain checks a couple weeks before I would have normally to start the “drawer-clock” ticking and usually they would come out before the vendor called. Don’t know if she ever caught on to what I was doing, but I got fewer collection calls. My boss is always pushing back meetings. I have gotten in the habit of IMing her about 10 minutes prior to the scheduled start to find out if we are going to start on time. I absolutely despise having to do this however it may be needed with current boss. This week I’d driven into the office deliberately early for a conference call. I dial in expecting no one on the line yet because it’s a minute before it’s due to start, them I am greeted by my manager who had invited me to the original meeting. I though how refreshing he is early for once.. then he opened his mouth and questioned if I need to use the conference bridge. as they were currently doing a demo. (I swear I actually saw flashing of red in my vision at this point) I said, I’m dialing into the XYZ meeting you invited me to. pause. There was no apology just a oh I’ll move that meeting to Thursday. I was livid, he knows I start later (he starts around the same time in a different timezone) and that traffic is horrendous in Houston before I normally arrive, hence my aversion to early starts. If there is any saving grace his manage was in town at this meeting so hopefully he looked like a total arse. At least karma paid me back for getting back to business and doing some solid work that day rather than going on a job hunt rage, a package I’d be waiting for arrived and as I had started early I could leave early to go pick it up. 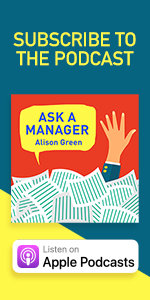 Managing up isn’t managing in the same sense that your manager manages you; it’s about finding ways to work as effectively as possible with your manager, so that you minimize stress and frustration on your side. No, it’s harder. Subordinates who have to actively manage a manager have a harder job they are not compensated for. We become mind readers, reminders, and decipher what is they want. If you have to manage a manager a lot- they’re not good manager. You are describing the process exactly right. The collateral goes beyond the extra work of mind reading, reminding and deciphering. There is also the interactions with third parties in the company that are impacted. It places the employee in a no win situation. I think you’re using a different definition of the term than I am. This is just basic human communication though – what we’re talking about is moderating your communication style to have the best effect. As a manager I do this with my subordinates. I can’t talk to two employees the exact same way. A comment that will motivate one will have the other in tears. Workplaces are full of people. If you’re going to do well, you need to learn to communicate well with people. I really appreciate my employees who take a bit of effort to make things a little easier for me like telling me what response they want/need on an email, etc. They recognize that I’m often pulled in 20 directions and am not perfect, so they help me by making it easier on me. As a manager, I hate this definition of the term. My employees are not here to manage me. I’ve got this. 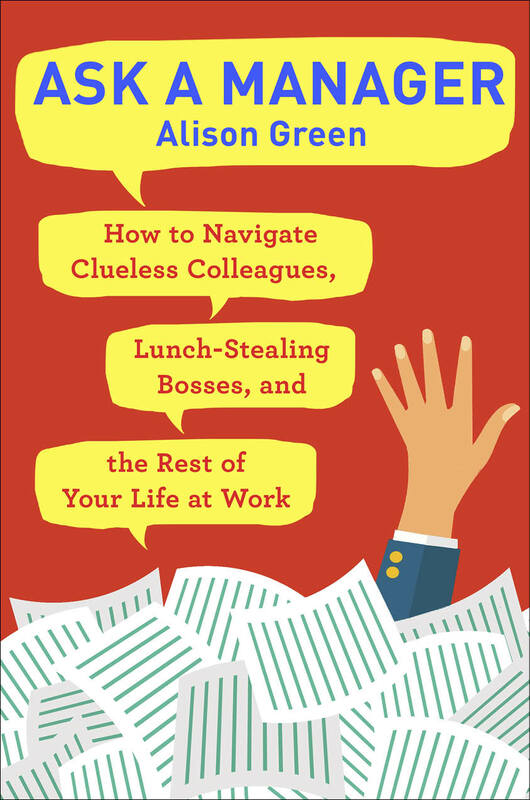 Alison’s definition of finding ways to work better with your manager’s style is good, not only in this context but with peers and subordinates. For instance, if you really need something from me now, don’t call my office line. I’m by that phone 10% of my day. My employees know that they need to email or come find me. An employee that insists on using that phone is going to be disappointed. When I’ve read the phrasing else where, it means filling in gaps for a lack of management bc a manager lacks competence as a manager. For example, expecting new employees to know your expectations without communicating the expectations to them would be a situation that may give rise to a problem in management and, as a consequence, employee performance. There are limits to how much one can manage up. I tried in a temporary attorney position to set up meetings, to communicate by emails, mentioned ” hey can I get feed back ” informally and suggested “hey can we meet for lunch when you have free time” This was over a period of three months that she , a fellow lawyer who works in a Fortune 500 company, avoided me .I was rewarded by her running away from me in the halls , avoiding eye contact and my being fired though a phone call from the agency and claims by the boss that she had talked to me extensively. Even the agency admitted I had mentioned in passing my concerns about the lack of communication. Well…crap. Great article; wish I’d read it a few months ago. This is probably not commonplace, but what do you do when your boss is strangely risk averse considering the riskiness of business processes that he has (presumably) OKed? It’s hard to explain in general terms so an analogy would be like a chain smoker balking at chewing saccharin sweetened gum because of the cancer risk. (in keeping with the analogy, I can’t stop him from smoking because I’m just a single mild-mannered mere mortal). I went to check if the effect could be repeated, and now on the first page I get a warning, except it’s “http://www.player.com.lep.mobi” instead of .diasgd.com. Methinks there be a problem on the daily worth (or with one of the ads they’re showing) that they may need a heads up about. Thanks — I will let them know! Another good resource for this topic is Working for You Isn’t Working for Me by Katherine Crowley and Kathi Elster.